Since November 1 falls on Saturday which is the scheduled day for the Living Large In Small Spaces series at A Joyful Cottage I'm starting the ERITH party a day early. I'm sure many of you have been busy getting ready for tonight's trick or treaters. I've noticed that front porches are becoming more and more elaborately decorated for Halloween. I'm not into scary and spooky and all that, so if I had a front porch I'd like it to look like this. I love those adorable owls and the grapevine pumpkins. October's party was held on the Fall Porch, and I have to say all who partied have some truly gorgeous autumn decorations. Let's take a look at some. Please pin from the original post and not from this site. Thanks! 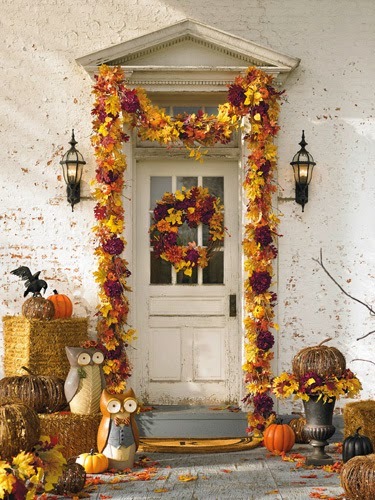 Oh, to have a porch like AnnMarie's to decorate for the seasons. 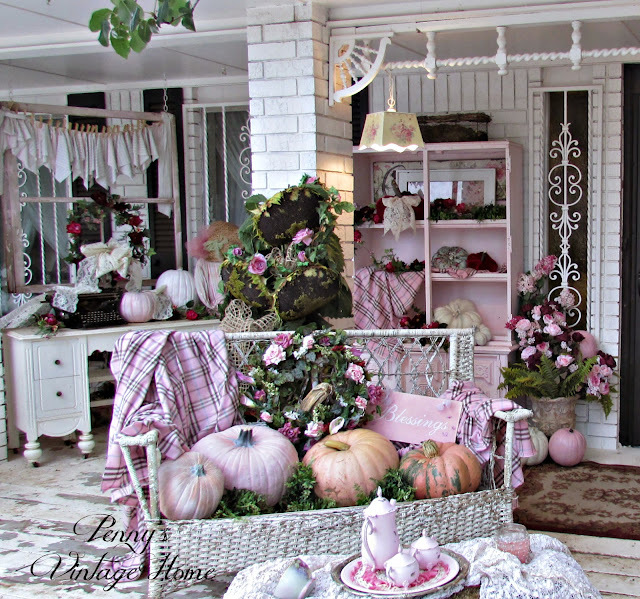 Her Falling For Fall porch at Musings of a Vintage Junkie is filled with loads of color and vintage charm. I love the touch of aqua. Have you ever imagined what fall might look like on the island of Crete? Poppy of Poppy View gives us an up close, personal and poetic look at her gorgeous pool deck in Faking Fall. Bring your swimsuit! 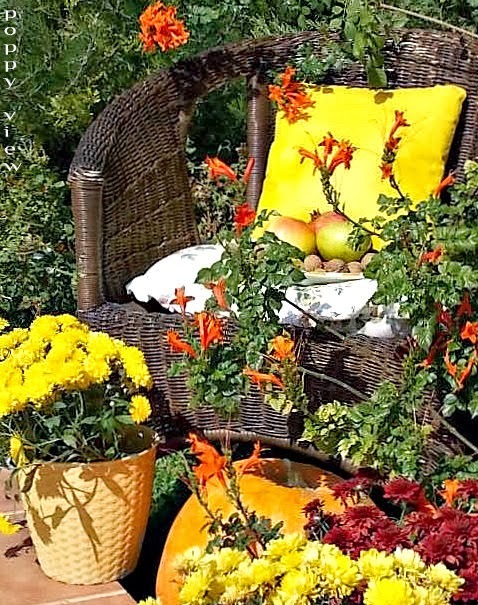 Jann at Have a Daily Cup of Mrs. Olson creates wonderful vignettes, and her porch overflows with them in Fall Greetings on the Front Porch. 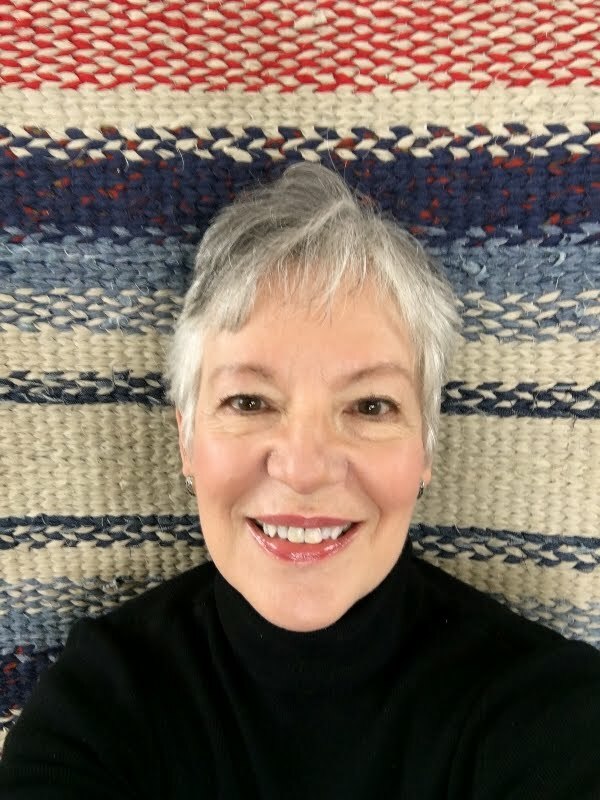 She also shares a link to her tutorial for that fabulous "Fall Greetings" pillow on her glider. Penny's porch pinches the prize for the prettiest pastel fall porch. (Sorry, I just couldn't resist the alliteration.) I do love this uniquely styled porch, including Penny's scarecrow secretary and hay bale coffee table. Green and orange is a beautiful fall color combination, and Julie at Renaissance Mermaid uses it to full advantage in A Warm Welcome. Check out her lantern on the chair for a cute decorating idea. When Aimee at Refresh-Renew picked up some old gutters from the curbside, she wasn't sure what she would do with them. Six months later inspiration hit. 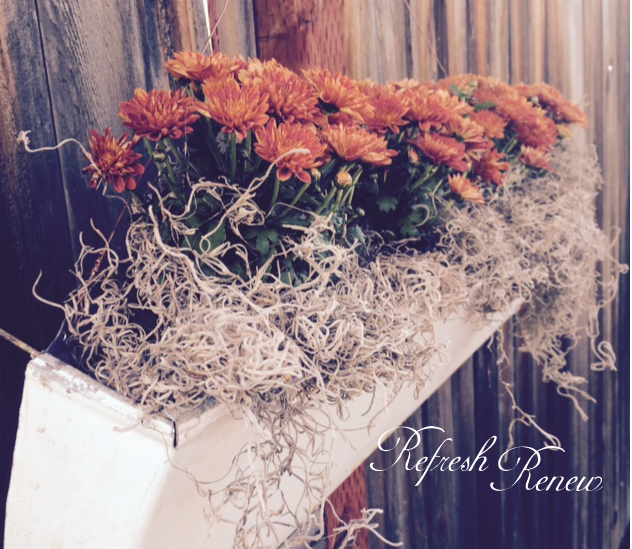 Aimee turned her freebie into a Vintage Gutter Flowerbox, and filled it with fall splendor. So creative. All dressed up with heirloom pumpkins, orange mesh ribbon and vintage goodies, Debbie's Lakehouse porch is harvest perfection in Decorating the Porch for Fall. I imagine sitting on Debbie's charming porch with a mug of hot cider. In her post If you can't beat them! Then join in with them! 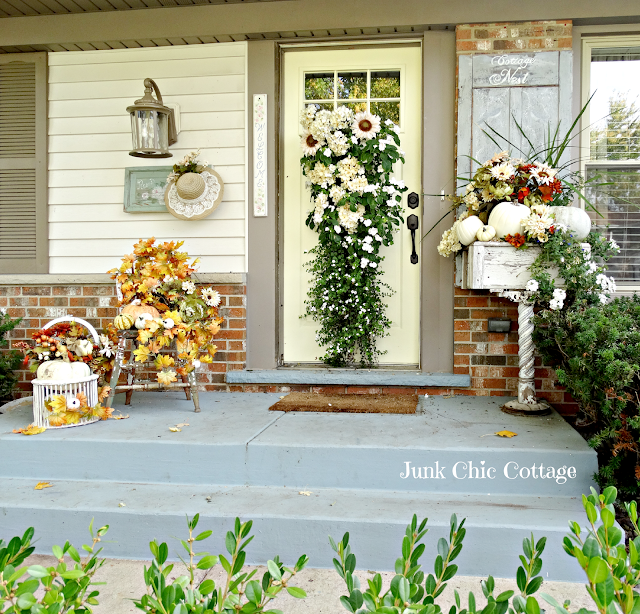 Kris at Junk Chic Cottage showed how she cleverly combined her still-blooming summer flowers with faux flowers and pumpkins, along with real pumpkins for a delightful fall porch. What's a Texas gal to do when gifted with real cotton from the field? Why add it to her fall porch decor, of course. 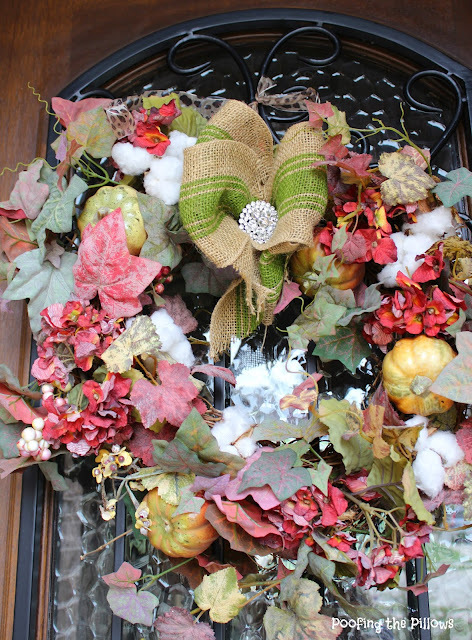 In Fall Front Porch Part 2 Stacey at Poofing the Pillows tucked cotton into her door wreath and flower pot. Mums and pumpkins complete her lovely fall porch. 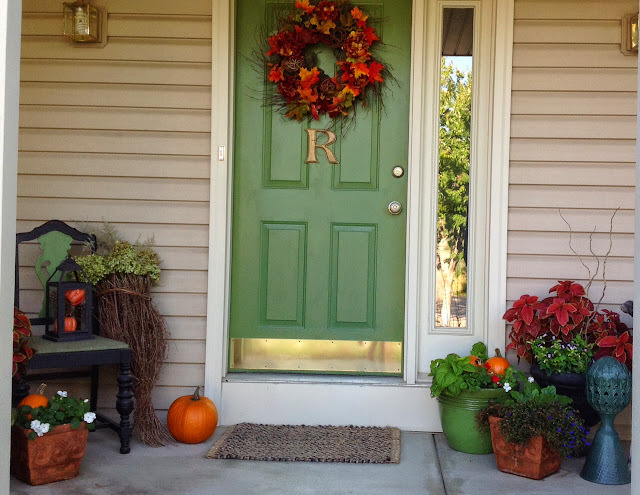 Laurel at The North End Loft is celebrating Autumn On Our Front Porch with gorgeous fall colors. I really admire not only the traditional mums and pumpkins, but the wicker chairs dressed up with red plaid and glorious blue. Stunning. Dawna at That Country Place took us to her neighbor's porch for a look at Christine's Autumn Door. 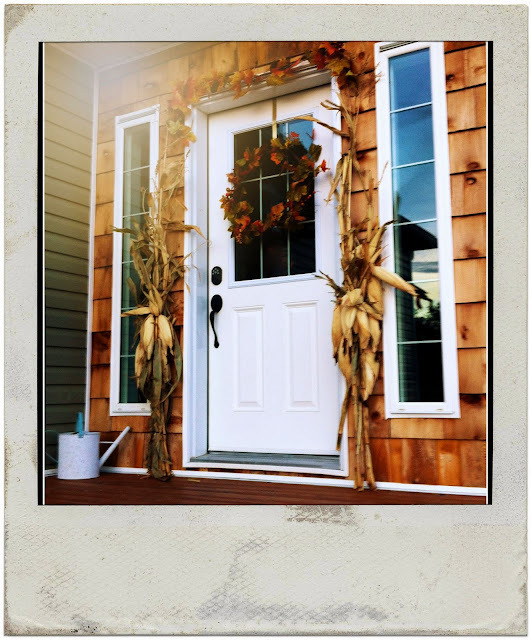 And a pretty fall door it is. I love its simple beauty. Very inviting, and a perfect accent to that wonderful cedar shake siding. I'm disappointed that I couldn't feature more partiers, but they didn't create a link back to the Every Room In The House Party. That's essential to be featured. I appreciate everyone who brings something to share. You're all wonderful and creative, and I'm inspired by your posts. If you were featured, please grab this button. Ready to start November's party? TV trays are welcome, too! Whatever brings you joy in your dining space (DIY project, table setting, Aunt Fannie's serving bowl, etc.) will bring us joy, too. 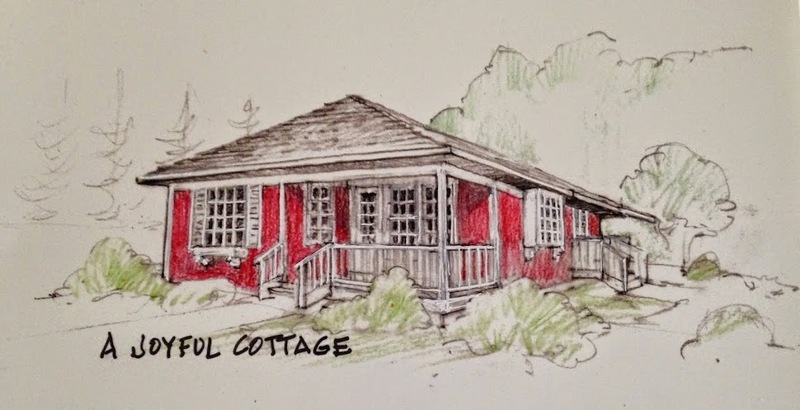 Please, please remember to put a link in your post back to A Joyful Cottage. That's necessary to be featured. Thanks for featuring my front porch. 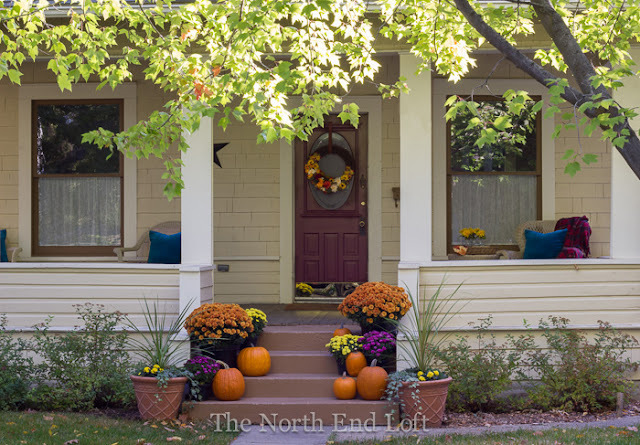 Love all the inspiration shown here and these beautiful fall porches. Nancy, I have such a porch fetish! All of these are fabulous. I especially love Ann Maries and Lakehouse!! Thank you so very much for including mine amongst all of these beauties! I plan on redecorating my dining table for Thanksgiving then I'll be back to link up! What is friendlier than a front porch! I so enjoyed all the porches you showed us. I think I'm partial to that one with the green door. Such a beautiful color for a door! And yet I love porches that are roomy, full of kids playing and family. Wish I had known about your blog last week. So fun to happen upon it even now. Thanks for the linky party. You're welcome, Julie. I'm glad you're inspired. I love your porch. I love all the porches. I'm so sory I didn't decorate mine for fall, but fall didn't arrive to Brittany this year and I wasn't inspired! What a surprise for my teary eyes (suffering from laryngitis and a nasty head cold! ), to find my 'Faking Fall' post featured among such pretty links! Thank you for the shout out and for hosting such an interesting party. Happy November (it's the 1st here, as I type! ), and a wonderful weekend! This is a new party to me...every Saturday ? I'll put your buttoon on my sidebar to remind me. Oh shoot! I linked up and then read the part about dining rooms. I'm sorry...I goofed. What fun to see al the porches . . . I managed to get a few ideas too? Here I am! I managed, for once, to write a post on dining-rooms on time! I've just discovered this party via Musings of a Vintage Junkie - looks like fun! Great porch features! I am your newest follower. I found you over at Musings of a Vintage Junkie. I love dining rooms and I love decorating so perfect party!! Thanks so much for hosting. I had so much fun checking out all the links to this months dining space party, Nancy. Thanks for hosting another great party!